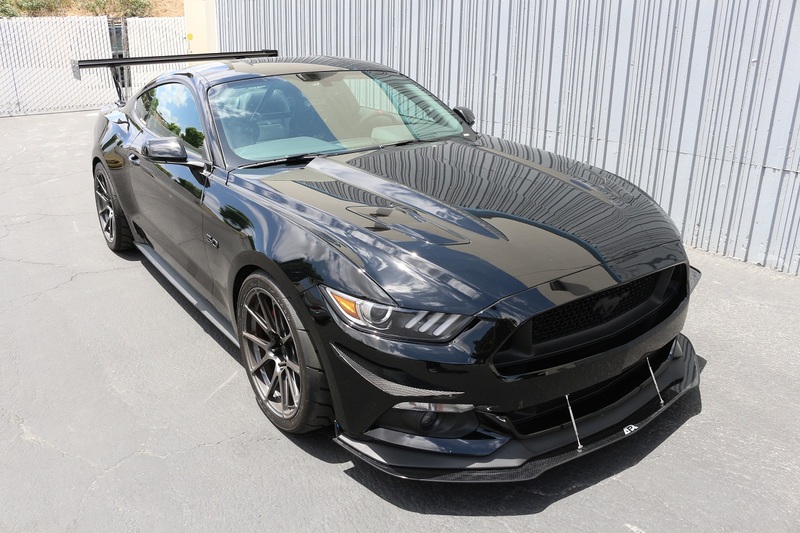 Add performance to your 2015-2017 Ford Mustang with this APR Carbon Fiber Wind Splitter, PN CW-201510. 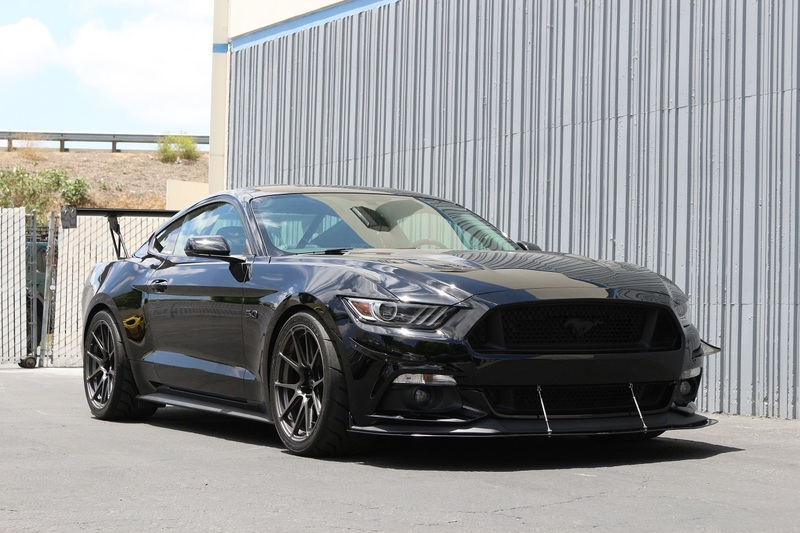 Now available for Mustangs with and without performance package, and Roush Mustangs. 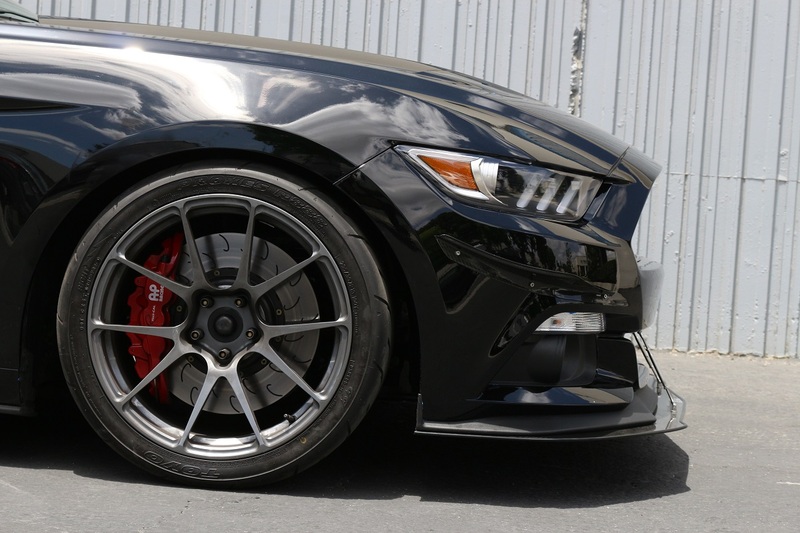 A Mustang Wind Splitter is a protruding flat surface in the front of a car that is designed to decrease front end lift and exert downforce. By creating a high pressure area on top of the wind splitter, high pressure air flow is restricted to flow underneath a car. With low pressure below the car, the effect of lift is reduced and a driver can gain from the extra traction and control. 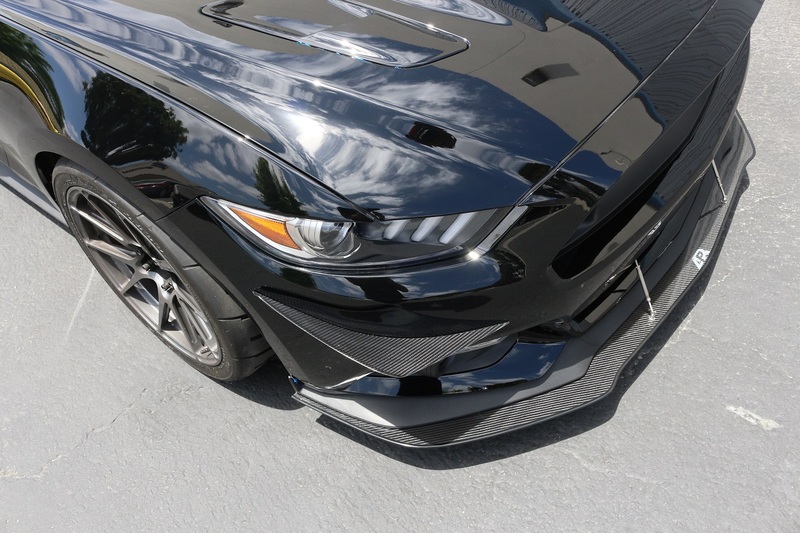 - Carbon Fiber Reinforcement - All APR Front Wind Splitters are reinforced with sheets of carbon fiber. - Fully Functional Undertray - APR Front Wind Splitters are not just add on cosmetic pieces. 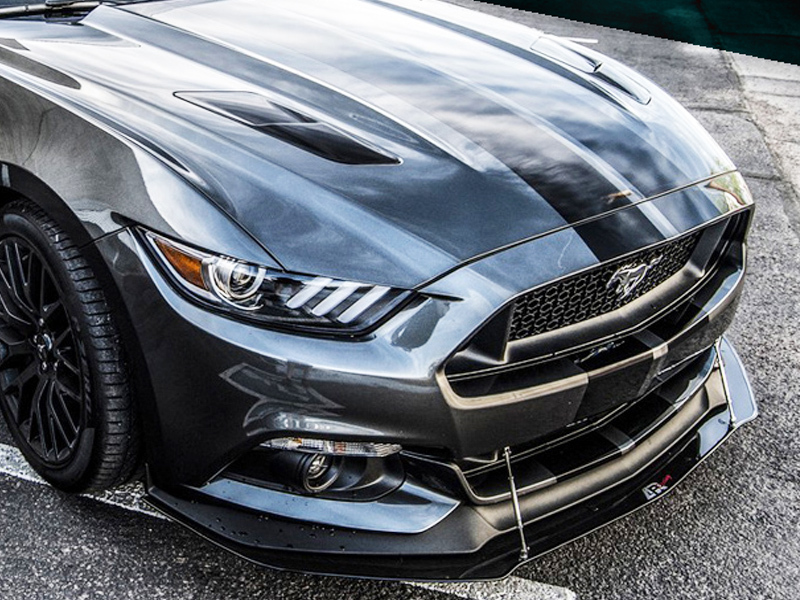 Every APR Front Wind Splitter completely covers the entire area below a cars front bumper. 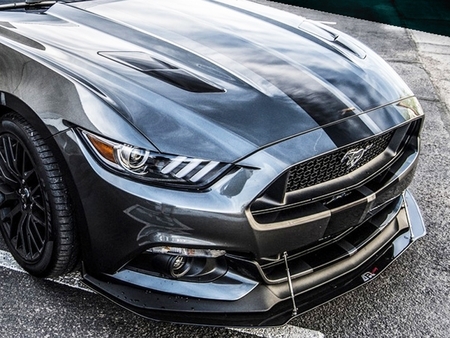 This allows for smoother air flow below the front bumper, creating more efficient downforce. 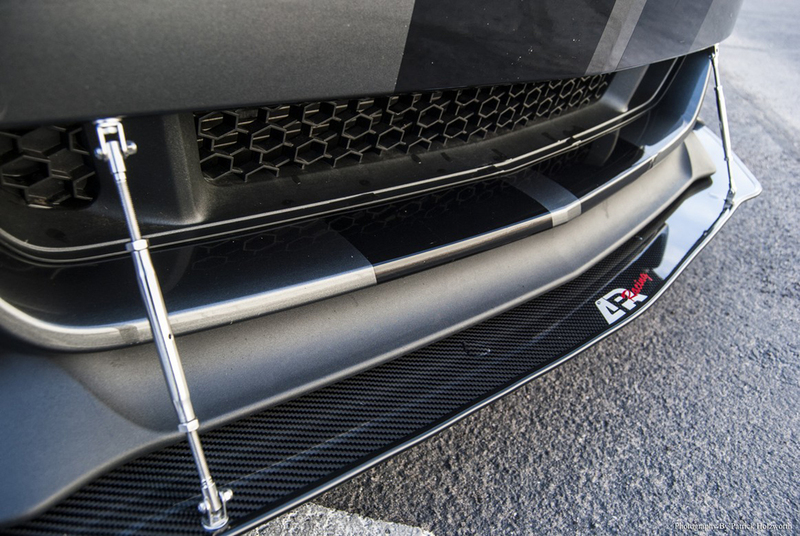 Rods Included - Every APR Front Wind Splitters Come with stainless steel Support Rods.